Stacy with the Savannah dry lands of Murchison Falls National Park, Uganda in the background. 2 Days to Go: Hello! My name is Stacy Prelewicz and I am currently a PGY-1 (post-graduate year 1) Pharmacy Practice Resident at Penn State Milton S. Hershey Medical Center in Pennsylvania. I graduated with my PharmD from Wilkes University last year. Throughout school I interned at both CVS, a large community pharmacy, and Geisinger Wyoming Valley Medical Center. I was also involved in Phi Lambda Sigma – The Pharmacy Leadership Society, Pharmacy Senate, and student government. I grew up in a small town right outside of Wilkes Barre. Next year I will be participating in a PGY-2 Pharmacy Residency in Hematology/Oncology at Huntsman Cancer Institute in Salt Lake City, Utah. My primary related interests include hematology, supportive care, and ambulatory care so I hope to eventually work in one of these areas. 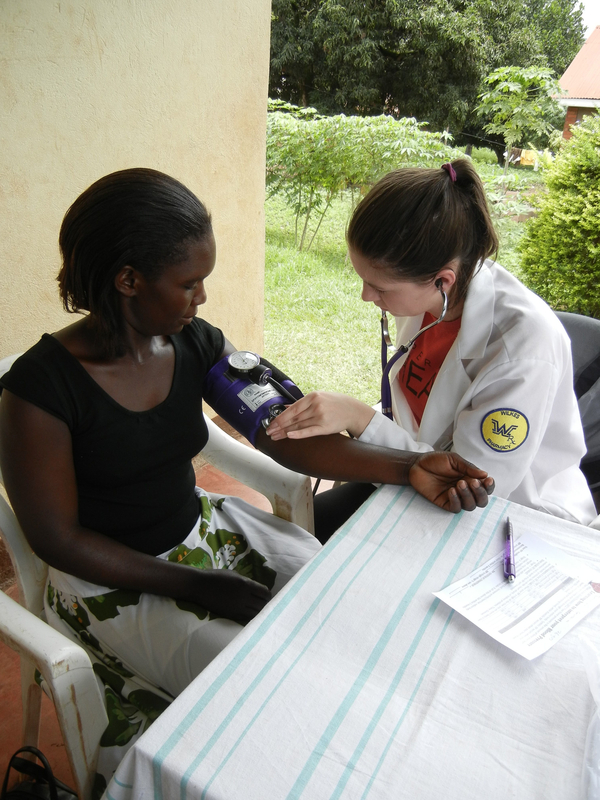 I also have a passion for global health and advancing pharmaceutical care. This will be my second trip to Uganda! I gained so much knowledge and experience from the trip in Fall 2013 and I was ecstatic when I found out I could go back this year for a mini rotation. One of my favorite things to do is travel! I love going site seeing, trying new foods (although I am not too adventurous), and anything outdoors. I also enjoy playing tennis and watching ice hockey. 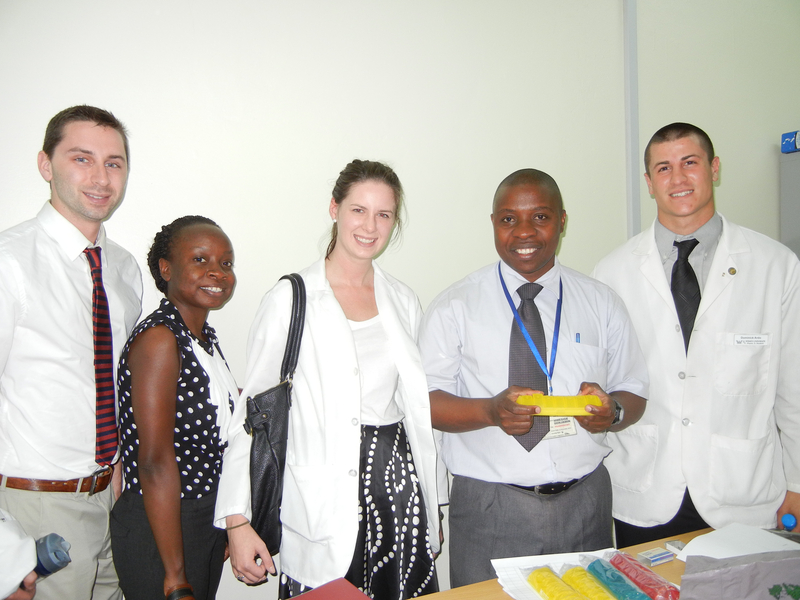 I am really excited to go back to Uganda this year to work with Benjamin Mwesige, Pharmacist, at the Uganda Cancer Institute and see all of the students and pharmacists I met during my first visit! 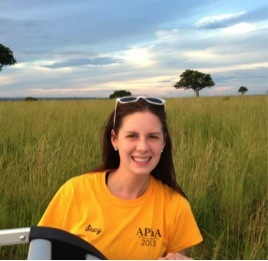 This entry was posted in Beginnings and tagged APPE, D'Youville College, Global Health, Global Pharmacy Practice, Pharmacy Education, Pharmacy Students, School of Pharmacy, Uganda Cancer Institue, Wilkes University. Bookmark the permalink. Congratulations on your continuing education Stacy. Your parents are very proud of you.